It turns out that UFC fighters aren’t fans of the Doggfather’s unfiltered comments on Dana White’s Tuesday Night Contender Series. What’s the best part about Tuesdays? That would be the Dana White’s Tuesday Night Contender Series, of course. 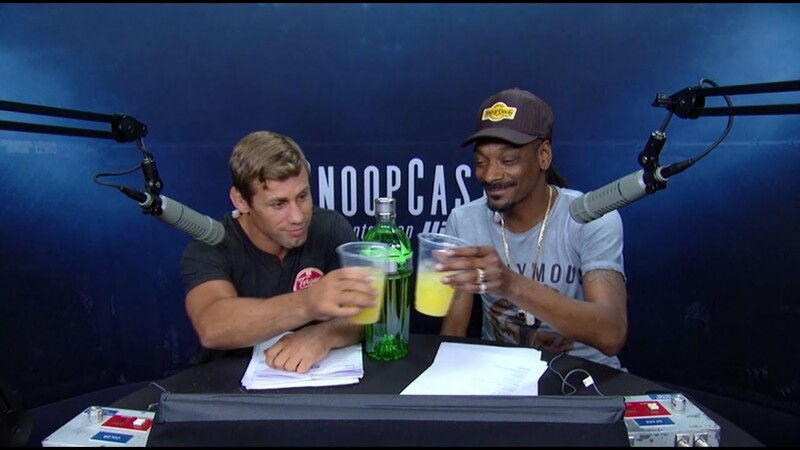 In case it doesn’t ring a bell, it’s an entertaining program hosted by UFC Fight Pass featuring retired mixed martial artist Urijah Faber and your favorite pothead Snoop Dogg. During the show, the duo takes turns sharing commentary on the game. As you can imagine, it’s a lot of fun. But it turns out that UFC fighters aren’t fans of the Doggfather’s unfiltered comments. And so they want him out. If one thing is for certain, it’s that Snoop has no chill. And when you ask him for his opinion, he’s going to give it to you straight. For the most part, people can take it. As for UFC fighters, not so much. Every week, UFC Fight Pass hosts Dana White’s Tuesday Night Contender Series. During the show, Snoop Dogg and UFC Hall of Famer Urijah Faber sit down together to share entertaining commentary as they watch lower-level fighters compete to make a name for themselves. Being that Faber knows the ins and outs of the games better than Snoop, he provides a more educated perspective. As for the Doggfather, his opinions are, of course, uncensored. For that reason, UFC fighters want him out. You see what he [Jones] did to DC? He had him crying like a b*tch. You shouldn’t have been talking all that sh-t when he was on suspension. Never talk about a man when he’s down; you wanna pick him up when he’s down. Sure, perhaps calling Cormier a b*tch wasn’t the nicest thing Snoop has ever said. But come on now, is it worth demanding that he be kicked off the Contender Series and replaced? Certainly not. Did they honestly think Snoop was going to hold back on his words when they hired him? There’s no way. Everyone who knows Snoop knows that he tells it like it is. Yes, he could afford to tone it down a bit. But then again, that comment was made to TMZ. Those words did not leave Snoop’s mouth during the Contender Series. So how is it even relevant? It’s not yet clear what’s to come of all this drama. Hopefully, it all blows over because let’s be real, Snoop isn’t going to change anytime soon. And removing him from the series isn’t going to shut him up. So yeah, everyone needs to sit down, smoke some weed, and relax. Be sure to stay tuned to hear what Snoop has to say about all this.